What do we mean when we say that someone is a writer? Is he or she an entertainer? An improver of readers’ minds and morals? And who, for that matter, are these mysterious readers? 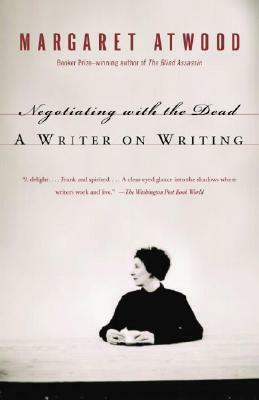 In this wise and irresistibly quotable book, one of the most intelligent writers working in English addresses the riddle of her art: why people pursue it, how they view their calling, and what bargains they make with their audience, both real and imagined. To these fascinating issues Booker Prize-winner Margaret Atwood brings a candid appraisal of her own experience as well as a breadth of reading that encompasses everything from Dante to Elmore Leonard.